“I used to have a form for the account rep interviewing a new advertiser. 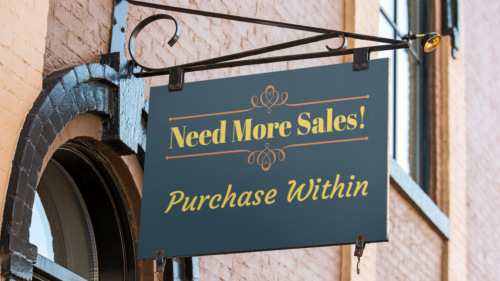 As I do with any new client, I sat down and wrote a bunch of questions sparked by that “We need more sales!” declaration. Because no specific advertiser has been identified for this exercise, of necessity my questions are generic, not specific. Here’s Something Important to Understand About These Questions. When I ask these questions, I never know which of them will lead to a successful ad campaign. Some of the questions might seem “too basic” to you. Others might seem obvious…or obscure. I write down every question that comes to mind, knowing that most of them won’t lead to helpful answers. I do that, of course, because I don’t know in advance which questions will lead to dead end. These Are in the Order They Occurred to Me. For a moment I was tempted to move “Describe your ideal customer” higher up the list, because it’s such an obvious (yet important) question. When the Client Says “I Need More Sales,” Here Are a Few of the Questions I Ask Before Thinking About the Copywriting Challenge that Awaits Me. * Why do you need more sales? * Because your expenses have increased? If so, which expenses? * Have gross sales dropped? * Have overall profits dropped? * Have your margins (the percentage of the sale price that represents pure profit) changed? * Because your profit margins have shrunk? * Why have they shrunk? * Are you selling a commodity, which inevitably results in a price war among competitors? * Because you’re in hock to your bookie? * Do you need more new customers? * What do you want the new customers to buy? * Do you need your existing customers to buy from you more frequently? * Do you need your existing customers to place larger average orders? * What do you sell the most of? Why? * What is your single most profitable item? * What is the biggest sales day of the week for you? Why? * What is the slowest sales day of the week for you? Why? * Have your existing customers’ buying habits changed? If so, why? * Are your existing customers spending less per order than they used to? If so, why? * Is there a time of day when sales are dramatically less than the rest of the day? If so, why? * If a new customer came in and purchased just one item from your store, what would you like that one item to be? Why? * Do any of your products necessitate future continuing purchases (e.g., filters, toner cartridges)? * Do your customers presently buy those necessary continuing purchases from you? If so, how often? * If yes: Could you do something to entice them to purchase more frequently? * If no, why not? Why do they purchase elsewhere? * Do they have children? * Do you have a referral program in place? * Do you have a rewards program in place? * How would your typical customer describe your store? * How do you wish your typical customer would describe your store? * Do you need to generate more sales…or more leads that convert to new sales? 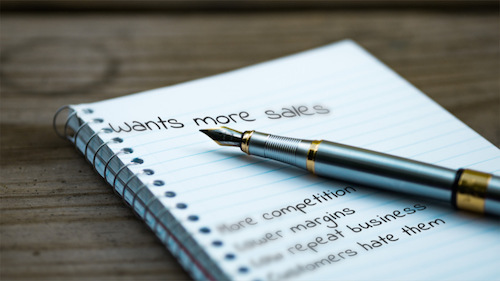 * What do your employees do to encourage more sales from browsing customers? * What do your employees do to encourage larger sales from customers at the time of purchase? * What does your typical customer say to himself immediately before deciding to come to your store to buy something? * What problem(s) does your company solve for its customers? * What is the most recent new thing you tried to increase sales? What were the results? * Can you upsell an added service to go with a purchase? * Does any competitor of yours sell more than you do? If so, what reason would their customers give for buying from them, rather than from you? * What products/services can you bundle into a larger, more profitable purchase item? * What do you do better than your competition? * What does your competition do better than you? * What is the one thing your customers repeatedly have asked for that presently you don’t provide? * Which items/services provide you with the highest margins? Download free radio copywriting seminar here. Next post: Is “Promoting Radio Advertising” Legal Justification for Violating Copyrights?